We, at Reliance NY Group offer deluxe limousine services for casino trips. We make your casino tour more luxurious and stylish so that you can arrive at your favorite casino in comfort and style, like a true VIP. Our professional chauffeurs ensure a pleasant and safe trip to your favorite casino and back to your place. Reliance group is renowned for providing affordable limo services in NYC, Brooklyn, Manhattan, Bronx & Queens. We provide door-to-door service for casino trips or any other event. A complementary bottle of champagne is also provided with every trip. Just sit back and enjoy your drink while we drop you to the casino. Our professional chauffeurs avoid busy roads and make you feel comfortable throughout the ride. So why wait? With Reliance Group, absolute fun is always in the cards – just book a premier limousine or party bus and travel around in style. You, your family and loved ones will surely have a once in a lifetime experience and a soothing getaway to one of New York’s top-rated casinos. Over the years, we have proudly planned and provided spectacular casino limo tours for thousands of happy customers. Casinos and racetracks are ideal places to plan a weekend trip to. Beverage and food bars are available as special amenities in our limo tours, and our vehicles will be well stocked to suit your demands. Our chauffeurs offer professional service and plan the route judiciously to make sure you get as smooth and luxurious an experience as possible. Casinos, wines and beers are constant proof that god loved us and wants us to be happy. 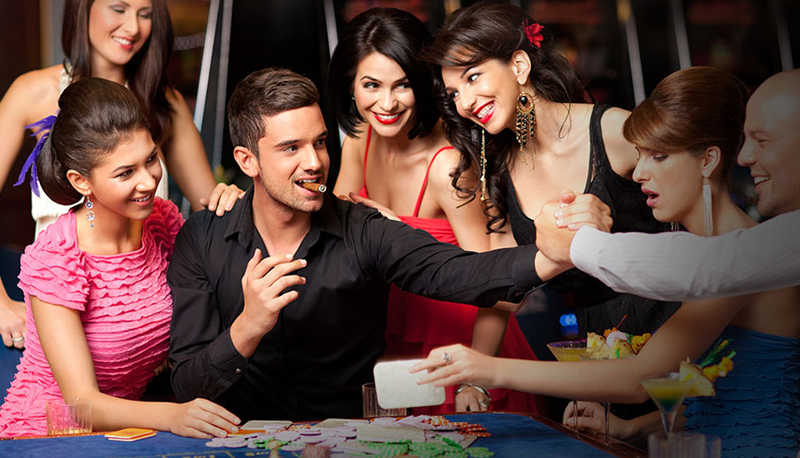 Casino tours are no novelty; since many, many decades people set aside a few hours out of their hectic schedules and business engagements on week days, or on weekends preferably, and hit a casino to have fun, enjoy some fine wine, and make merry with friends. We often want our casino tours to be luxurious with a grand, stylish entry that can leave the onlookers spellbound. Limousines are the simplest way to ensure an elegant VIP entry to a casino. So the next time you plan a casino tour, simply hire a good limo rental service and enjoy a luxurious ride to your favourite casino in New York. Leading limousine rental companies in New York offer world-class vehicles with rich facilities like high-quality audio/video system, Wi-Fi, well-stocked bar, and much more. So the party actually starts right there and then, way before you reach the casino. The cost, as you might have thought, isn't too much than what you'd spend if you choose to take your personal car. With multiple passengers, the shared expense is even lower. All you have to do is find the right limo rental service provider in New York.